When I first discovered Shop Knotty, I fell in love with their style immediately. What I didn't know, was that they make an entire array of hair ties, headbands and even jewelry! For the holidays they have even come out with a Hair Tie Bauble which is filled with 24 hair ties. Any one of their gorgeous products would make perfect gifts or stocking stuffers for the holidays. 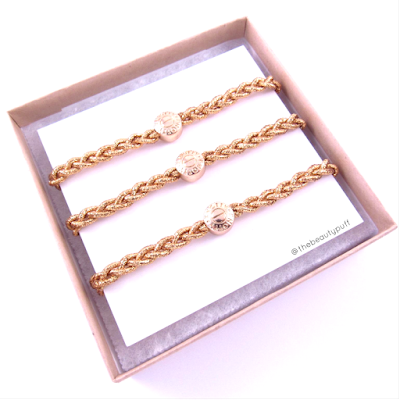 Today I will show you a few different styles in their line that can be used as hair ties or bracelets! For the basic hair tie lover, you can't go wrong with the simple Knotted Hair Tie pack. These hair ties come in multi-packs and are available in a wide variety of colors and patterns. There are versatile neutral shades, vibrant colors, and even glitter hair ties. The knotted hair tie is my go-to style because it is smooth, easy to put in and takeout, and of course, looks great if I'm wearing a spare on my wrist! If you want to go a bit bolder with your 'do, Shop Knotty makes a Braided Pony Set in either solid or metallic versions. The solid sets come in great everyday neutrals and even neons to add a pop of color to your look. The set I have is from their metallic line, which comes in Gold, Rose Gold, Silver or Mixed. I have been loving the gold set against my dark hair and also just worn around my wrist. It adds interest to outfits without actually wearing jewelry! That's a major bonus when you have a toddler around. I even brought these while I was away for Thanksgiving and they were an easy accessory to pack without worrying about fragile jewelry. 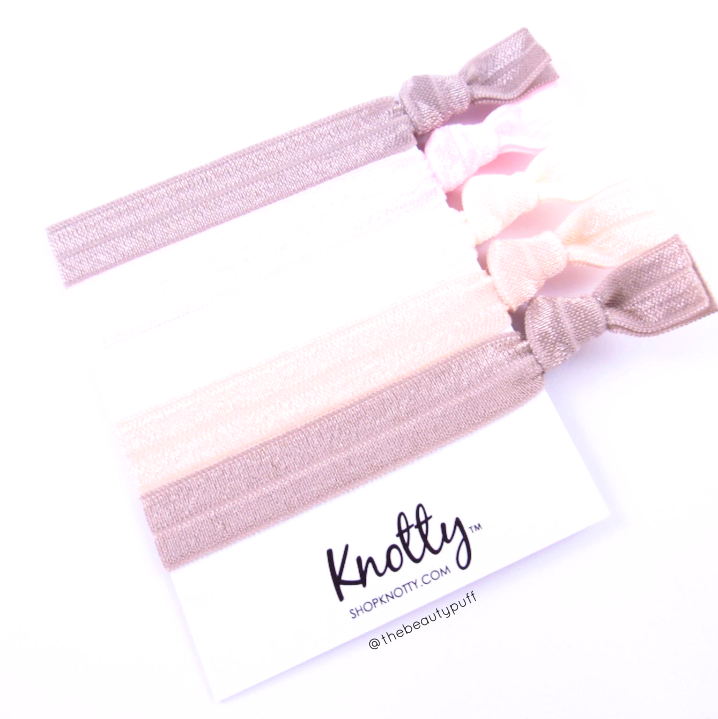 My favorite hair tie from Shop Knotty, combines the best of both items featured above. It has the simplicity of the Knotted Hair Ties, with the metallic detailing of the Braided Pony Set. The Classic Chain Pony comes in a stunning array of combinations with different color hair ties and metal accents. The chain comes in 14K Gold, Rose Gold, Matte Black or Rhodium and the hair tie comes in both solid colors and prints. The version I have is Powder Pink with a Rose Gold chain... my absolute favorite. As I said when I first posted this photo on Instagram, this is honestly the prettiest hair tie I have ever seen. I am so afraid of it getting stretched out in my hair, that I will wear it as a bracelet and treasure it! 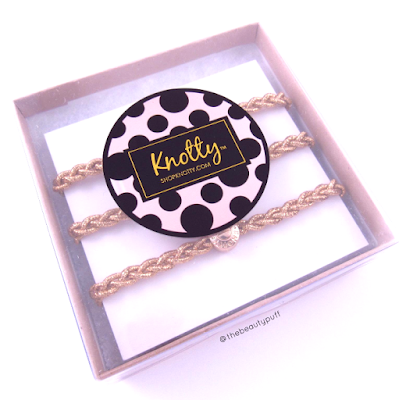 That's the beauty of Shop Knotty's products - they are not only gorgeous, but versatile as well! Save on those gifts! THEBEAUTYPUFF saves you 20% on your order!